The revived commitment to the Cassiar family continues with the addition of another all-mountain waist width to the mix, the Cassiar 95. DPS has carried over some of the key traits of the Cassiar 85, tuning the 95 to lean moderately towards softer snow. it’s all accomplished through a slightly higher tip profile, an altered flex profile, and of course, an extra centimeter of girth underfoot. 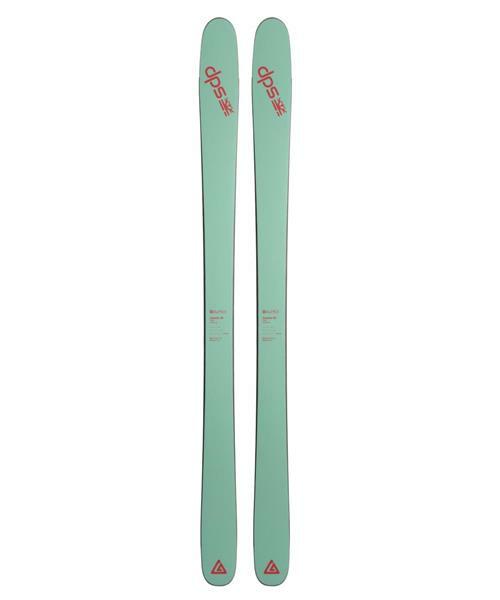 The Cassiar 95 is the floatiest member of Cassiar family and an amazing flat-tailed choice for everyday frontside excellence as well as springtime backcountry duty. Cassiar 95 - Pure3 2016-17 is rated 5.0 out of 5 by 1. Rated 5 out of 5 by Big Bob from the ski for tracked up deep chop second pair of DPS, won't be my last. love the carbon - these are beefy, agile and super stable at anything under 35 kph. skis chop like a groomer.